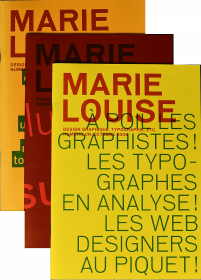 Back Cover (formerly known as Marie Louise) is the only serious French magazine, as far as we are concerned, interested in graphic design and its history. Now with full English translation. In this issue: An interview with Elektrosmog; Illustrating Photography by Catherine de Smet; Interview with Benoît Rosemont, illusionist; About 'Pioneers of Modern Typography' by Étienne Robial; Christoph Keller on Books and Art; François Chastanet on 'About Structures of Connections' by Władisław Pluta, and more. Fourth issue of Back Cover, a bilingual French graphic design magazine. In this issue: A Conversation with Karel Martens, Wim Crouwel, Joost Hochuli, and more. A tool that we need: new (and only serious) French magazine interested in design history and visual universe. 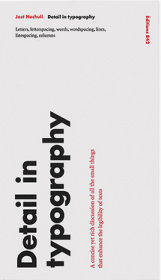 With contributions by Peter Biľak, Laurent Le Bon, deValence (Alexandre Dimos, Gaël Étienne), Anne Lemonnier, Philippe Millot, Étienne Mineur, NORM, Stefan Sagmeister, etc. A concise yet rich discussion of all the small things that enhance the legibility of texts. A guide to micro-typography considering all text situations.